Rev Oommen George, clergy secretary of CSI Madhya Kerala Diocese and the vicar of Ascension Church Kanjikkuzhy, has been selected as the first bishop of Kollam- Kottarakkara diocese. 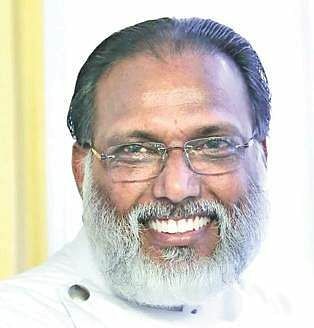 KOTTAYAM: Rev Oommen George, clergy secretary of CSI Madhya Kerala Diocese and the vicar of Ascension Church Kanjikkuzhy, has been selected as the first bishop of Kollam- Kottarakkara diocese. A noted speaker at religious conventions, he was selected by a Synod presided over by CSI Moderator Bishop Thomas K Oommen at the Synod headquarters of CSI in Chennai. The consecration of the bishop- designate will be conducted at Kollam CSI Cathedral on Sunday under the chief patronage of Bishop Thomas K Oommen. Rev Oommen George had worked in various capacities as member of CSI Synod, CSI Synod Mission and Evangelical Committee; executive committee member of Madhya Kerala Diocese; vice- president of CSI North American Council; convener of Shalom Residence Project; secretary of the Mission Board of diocese; secretary of the Pastoral Board; vice-president of the Laity organisation and convener of the Diocese. Rev Oommen George, secretary of the regional Synod, is the son of late K C George Upadshi, an evangelist of the CSI Church and Mallappally Panavelil Rachel. Aleyamma Oommen is his wife and Diana, Leeza and Leena are his daughters.